The video resume is a trend fast catching up in the employment industry today. Growing in its popularity with each passing day, you as an employer are bound to receive the video resumes from the job aspirants. The audio-video resume is extremely beneficial for the candidate as it allows them to present themselves in a unique manner. But are these resumes really helpful for the employer? Yes, indeed the video resumes are equally beneficial to the employer as they are to the candidates. You get to see the candidate instead of a list of accomplishments, a pre-interview session may be, which helps you to understand the applicant face to face. 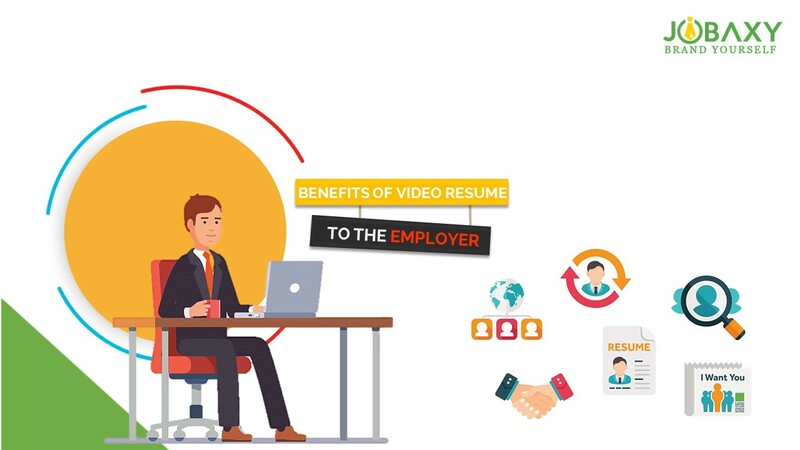 Let us check out the benefits of video resume for you an employer. Video resumes are easy to use. They help recognize the talent quickly thus helping you plan your face to face interview more effectively. During the first screening of the applications, you can filter those candidates who fail impress you and lack that spark you are looking forward. Thus keeping only the cream for the actual interview. The audio-video resumes give you a more personal feel for the candidate even before the actual interview. These resumes highlight the personality of the candidate. The professionalism, verbal communication skills, body language, mannerism, attitude and confidence of the candidate is evident from the audio-video resume which can never be incorporated in the traditional text resume. You can judge the candidate on these parameters even before the actual interview. The employers also have a significant advantage in using video resumes as it helps taking fast decision, saving time and cost involved in the hiring process. Going through heaps of applications can be tedious and time-consuming. But these video resumes give you the required details about the candidate in a minute or two. All you have to do is to watch it. you can watch it anytime anywhere while traveling in a car or relaxing on your couch. Indeed the video resume is a fast catching trend and you as an employer should not lag behind. All you need is a recruiting partner who will help you in getting only and only video resumes for the job vacancies you have. Jobaxy is the best job portal in Philippines specialising in video resumes. We take your recruiting process one step higher without compromising on quality and saving your valuable time too. Whether you are a start-up or a big shot in the market, we understand your needs and make your recruiting process hassle-free. Get connected and know what new and exciting we have to offer.